Programs are free for Members and included with admission for visitors, unless otherwise noted. To see a complete listing of the Museum’s programs, visit janm.org/events. 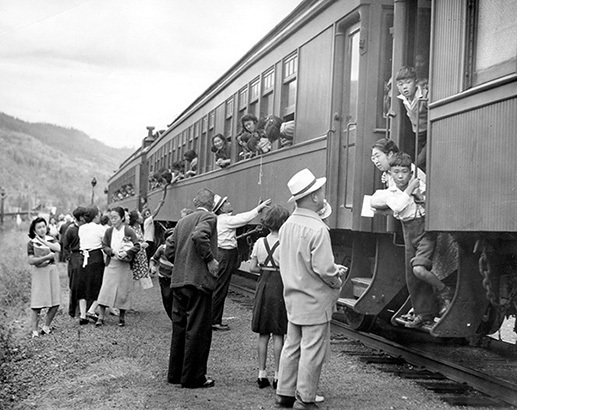 In conjunction with Two Views, JANM will screen a short documentary on Leonard Frank and a feature-length drama set against the Japanese Canadian incarceration. Copyright: Leonard Frank tells the story of the great Canadian photographer, who emigrated from Germany at the age of 22. After winning a camera in a lottery, he spent the next 50 years taking pictures of everyday life, landscapes, and industry in British Columbia, becoming renowned as one of the defining photographers of Western Canada. Set in British Columbia shortly after the bombing of Pearl Harbor, The War Between Us tells the story of the Kawashima family, who are forcibly taken away from their home and business and sent to a mining camp deep in the country’s interior. The family faces primitive living conditions and racist treatment from the locals, but they eventually forge real friendships with their neighbors, helping to ease their feelings of betrayal by the Canadian government. 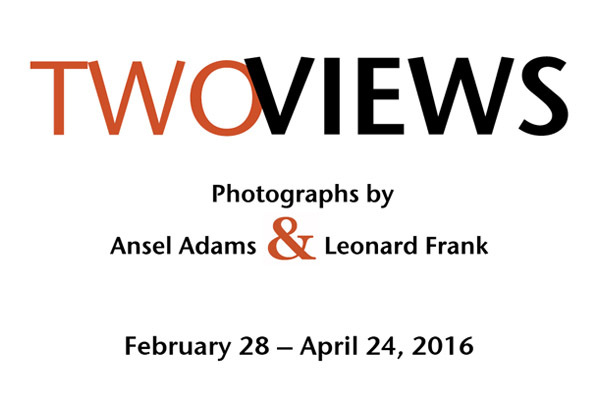 Bill Jeffries and Grace Eiko Thomson, co-curators of Two Views, will discuss their exhibition. 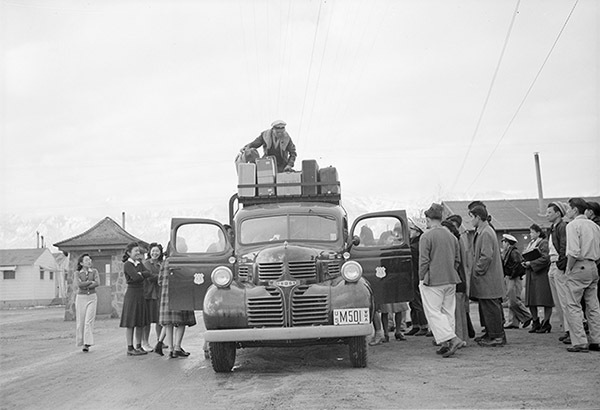 Top right: Ansel Adams, Relocation: Packing Up, Manzanar Relocation Center, 1943. Courtesy of Library of Congress. Top left: Leonard Frank, Leaving Vancouver, 1942. Eastwood Collection, JCNM.